On your first visit, the physiotherapist will complete an initial assessment. The initial assessment consists of a detailed evaluation of your injury or condition. They will review your health history as well as the history or events regarding your signs and symptoms. The physiotherapist will also perform an objective evaluation which includes an assessment of posture, range of motion, muscles, strength, ligaments, and additional specialized tests specific to your injury or condition. Following the evaluation, the physiotherapist will also provide treatment, including home strategies to assist you in your recovery. Typically, your first appointment will be approximately 45-60 min. If you have an imaging report (xray, ultrasound, MRI, etc) that has already been completed for the specific area of focus, please bring the report with you to your appointment in order to provide the physiotherapist with additional information. As well, please bring or wear clothing that is comfortable for you to move in, and that also allows for the physiotherapist to evaluate and treat the area, such as shorts for a knee injury, or a tank top or loose short sleeve shirt for a shoulder injury. Who do I need a referral from to book an appointment? A doctor's referral is not necessary to be able to schedule a physiotherapy assessment and treatment appointment. However, if you have extended health benefits, your insurance company may require that you have a doctor's referral in order to receive coverage for physiotherapy services. Please check with your individual plan requirements as each extended health plan is different. Each person is different in their recovery, which can also be affected by each individual's health history and history of the injury or condition. During the first appointment, the physiotherapist will discuss with you a recommended plan for treatment that will be individualized based on your injury/condition and your goals. The initial assessment will typically take about 45-60 min. Follow-up appointments will be scheduled one-on-one with your physiotherapist and may be booked for 30 min, 45 min, or 60 min treatment sessions. These appointments will include manual therapy, exercise, and appropriate modalities that may be warranted. Your physiotherapist will discuss with you during your initial assessment the recommended follow-up appointment length based on your individual needs and goals. Physiotherapy is a health profession that utilizes an evidenced-based approach in a commitment to restore and enhance patients' activities and quality of life. 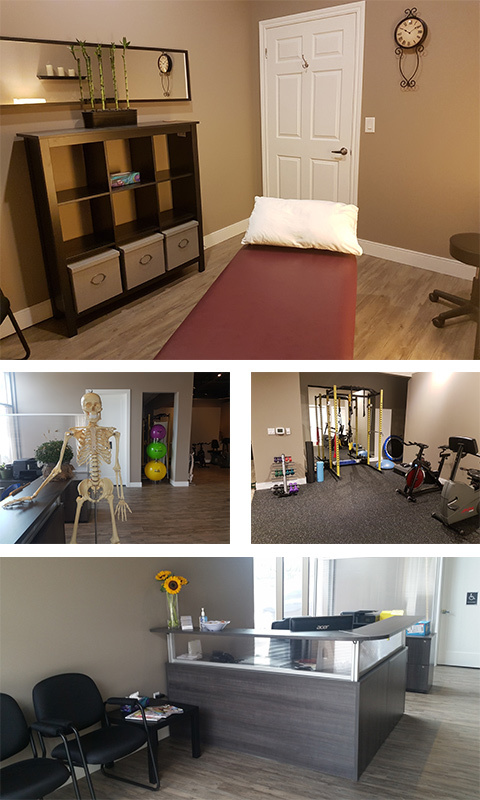 Physiotherapists at Bear Creek Physiotherapy & Wellness are qualified health professionals who are registered with the College of Physiotherapists of Ontario. They utilize assessment and evaluative tests and procedures in order to establish and implement a client-centered treatment plan. We work with a variety of clients to address different goals within wellness, health promotion, injury prevention, post-operative and sport rehabilitation, as well as disease and disability management. Payment is due after each session. Forms of payment accepted are: Visa, Mastercard, Interac, and cash. We are able to provide direct billing to most extended health benefit plans for Physiotherapy and Registered Massage Therapy Services. Please contact the clinic for more information regarding the fee schedule for services offered at the clinic.